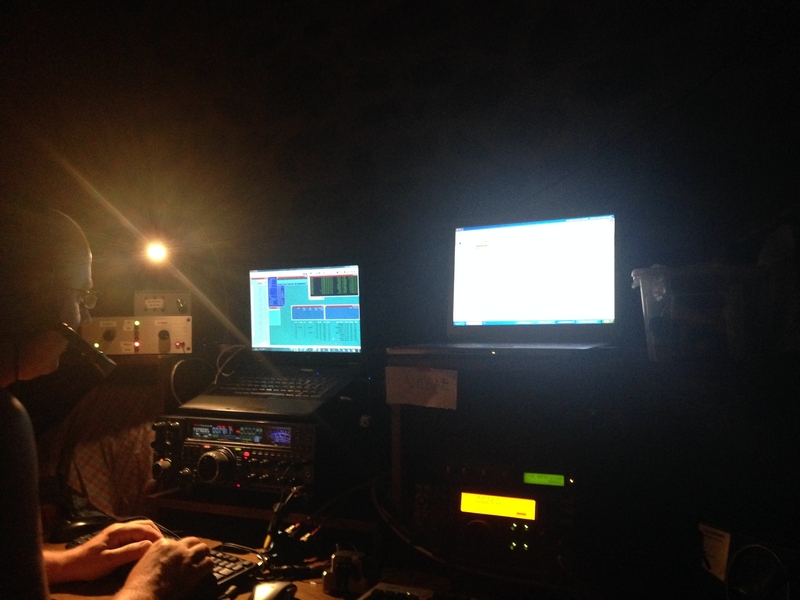 Back again in the island for an other IOTA Contest with only 4 operators. Everything is almost the same as last year (2016), we added only a rotative dipole for 40m above the 3 elements Mosley tribander. We also fixed in this year the 3 elements for multipliers which worked not so bad after all, despite all the predictions. Unfortunately we did not manage to have an inband station due to the lack of time and operators. Hope to have it next year! The contest went smooth and without serious hardware problems, just a rotator stuck at north which is not a serious problem in this type of contest. No problem with energy at all and the weather was absolutely good this year as we needed the air conditioning inside the shack. 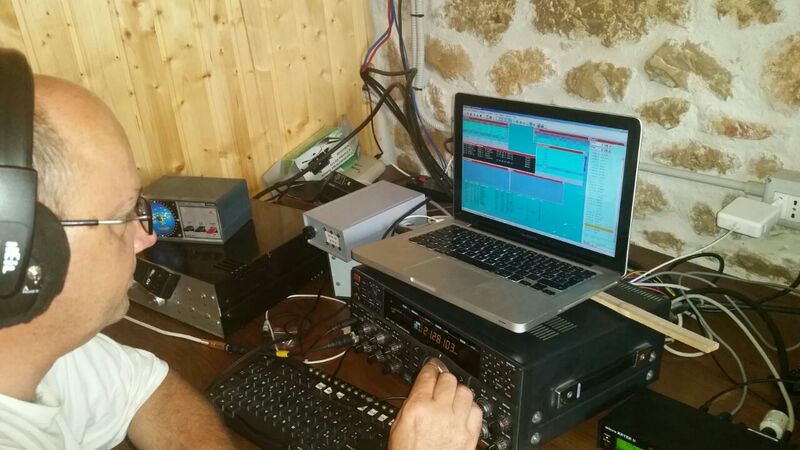 A lot of station were active from Dalmatia South Group EU016, maybe we should join forces and make a big team. Thanks to all we made a contact with and to the rest of the team for the great work and good company during the whole week together. Some numbers and photos below. See you next year. 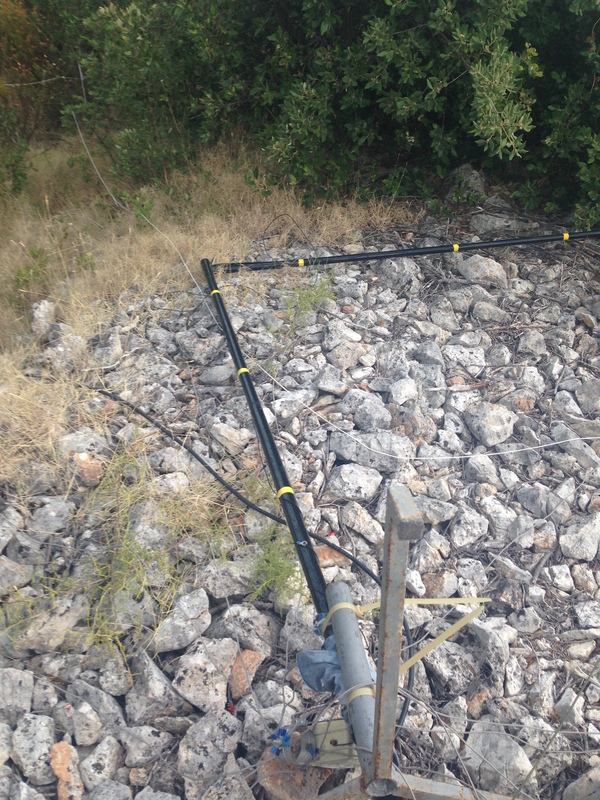 As the last two past editions, this year we are back again with two more operators and we tested, in the island for the first time, the in-band station. 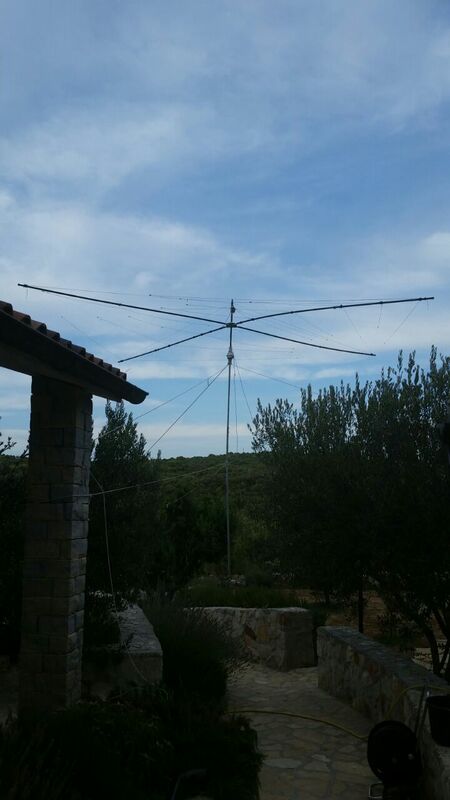 We had some problems with antennas due to a storm the previous Thursday that broke 40m vertical, a must and dropped the 80m vertical but finally everything was replaced and fixed before the contest. 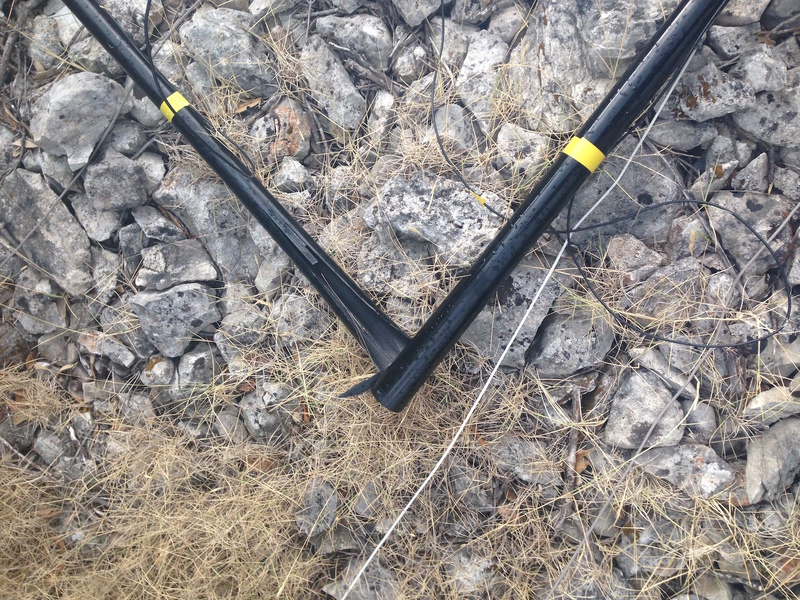 The propagation also was a problem especially in 10m and 15m, in fact our target is not reached at all. On the other hands low bands were quite good with some nice pileup still difficult because of the low power. We also had some issues from the power supply system: we were run out of power from the solar system in the Sunday morning before the sun rose so we were obliged to use the power generator and after all we missed half an hour of the contest. 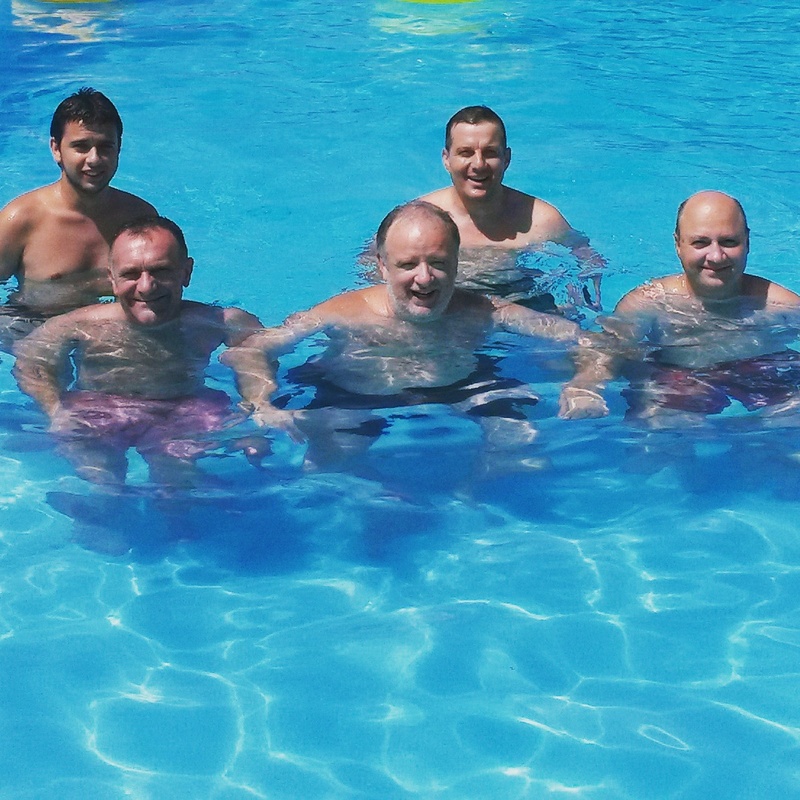 At the end, it was a fantastic week with friends and full of fun and good food (HI!). 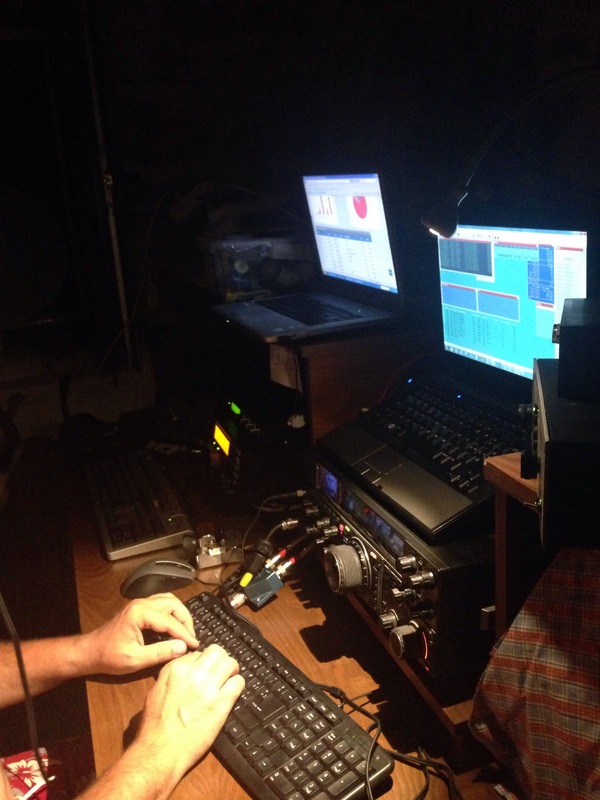 IZ6CRK and IK8UND did a fantastic job in CW and seeking multipliers, TNX! Thanks also to the others operators who made this contest possible, specially IK6JNH. Now let’s wait the results by the contest committee. Final scores are out, you can check here for our category. Second place for the second time, we did a great work with multipliers but still too less qsos to beat our friends from Guernsey. Congrats guys! Hope to see all of you next year. Stay tuned for more infos.